Do you want to do something different and meet new people? 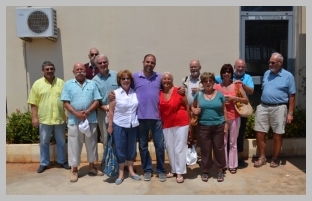 number of members, we talked about when we all enjoyed a visit to a brewery in Famagusta which I wrote about in a newspaper. I decided I would publish this article again for those TFR members who did not go on the trip and anybody else who may find it to be interesting reading. “Do you want to do something different and meet new people? 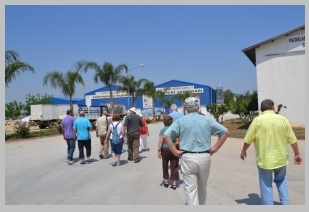 I had that experience recently when I went with The Foreign Residents Society to Famagusta and we visited the Gold Fassl Brewery. Cheers some would say. Lager, Antique and Safa Brandy and a range of over 50 alcoholic beverages plus they are a suppliers of Gurpinar water and have a very impressive piece of land with very modern buildings and even more impressive brewing and bottling equipment which is computerised. 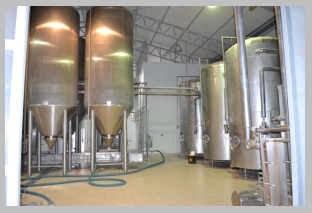 e we saw huge stainless steel vats and distillation equipment where the Gold Fassl (Ottakringer) Austrian Vienna Lager is brewed under licence using barley and takes upwards of 25 days to achieve the standards they want. Everybody was offered a sample of the virgin lager beer to try. in the form of a full size water bottle minus its screw on cap. 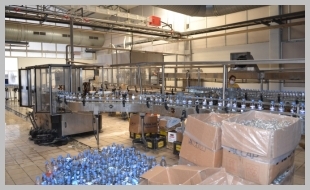 These bottles were then loaded onto the main bottling system where the bottles travelled round tracking and onto a circular water filling rotunda before the bottles moved off to receive their caps and go off for boxing and distribution. From here we went into the yummy section where huge Italian oak casks stood with their mysterious contents and everybody was offered a wee tipple of the local whisky. If we had tried to sample all of the Vats we would still be there. Why not spend an afternoon with this great group of people by visiting the Cabin, Lapta on any Friday from 4.00pm If they could all be there they comprise 112 members of 15 nationalities and a friendlier bunch you would not meet. Would you like a day out with TFR (The Foreign Residents Association), then contact Horst Gutowski on 0533 845 0923 or 821 1722 or email horstgutowski1949@gmail.com to find out what they are planning for the future”. I had this page saved a while previously but my computer crashed. I have since gotten a new one and it took me a while to find this! I also really like the template though. Thank you for reading our articles. Yes the template works well and WordPress.com, is a good system to use.